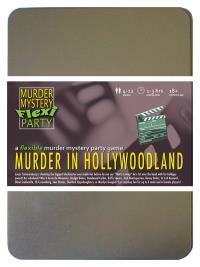 You've been invited to play the role of DANA SCULLERELLA in Murder in Hollywoodland. You're invited to a star-studded yacht party, as Lucas Cameronburg is shooting the biggest blockbuster ever made! But before he can say "That's a wrap! ", he's hit over the head with his Goldguy award and pushed overboard! Join us to find out who cut Cameronburg from his own film! Always the professional, you dress in a dark tailored suit with a matching short skirt and low heels. Your auburn shoulder length hair and sultry pout are normally the only accessories you need but tonight, for top secret FBI reasons, you’re wearing a furry bikini underneath your jacket. Don’t forget to holster your gun. Your sharp analytical mind has served you well since childhood when you disproved the existence of Santa Claus at age 4. You trained as a doctor before joining the FBI where you are dedicated to your job investigating paranormal phenomena. Work leaves no time for romantic entanglements, although you do have a very close relationship with your partner Fogs Mouldy. My name is Dana Scullerella. I’m a Special Agent with the FBI. For reasons I’m not allowed to divulge, I have been cast in this movie as a feisty futuristic stripper from space. Needless to say, the case I’m working on is a matter of national security so any investigation into the sudden death of Lucas Cameronburg will have to take second place. Besides, I missed it - I was in my cabin. If my memory wiping device hadn’t been stolen by a shapeshifter on my last case, I’d be out of here by now.